Will Big Oil’s lobby succeed in reversing Trudeau’s North Coast tanker ban? At first it was refreshing, uplifting and hopeful. The come-from behind election campaign which caught pollsters and pundits by surprise. The warm embraces, locked-eyes and inspiring mandate letters as action-oriented cabinet members took charge of their files in the spirit of progress, openness, transparency and reconciliation. Environmentalists became chiefs of staff, or joined the Prime Minister’s inner circle. Electoral reform was on the horizon. Indigenous and, well, any community might soon be in a position to grant permission before governments would grant permits. Canada was “back” leading the charge toward a 1.5C future — and if the rumours were to be believed — the coup de grace, a North Coast tanker ban, would lock victory down in one of the hardest fought battles over our environment in Canadian history. Harper was gone. Science was back. But not everybody was celebrating. For the first time in years worried looks were cast across tables where boardroom windows meet the Calgary skyline. Big Oil’s open door in Ottawa might soon be closing. With environmentalist distracted by optimism an army of lobbyists started packing their bags. They had seen this movie before and knew precisely how to respond. In a 2006 trip to China, British Columbia’s then-premier Gordon Campbell had an epiphany about the perils of climate change and resolved to take action. In 2008 he introduced one of the world’s first carbon taxes. In response the oil industry deployed to British Columbia. Between 2010 and 2016, 43 fossil fuel corporations and industry groups registered as lobbyists. $5.2 million was donated to party coffers and the industry’s top ten actors recorded 19,517 contacts with public office holders. Their collective efforts stalled the steps needed to make the carbon tax effective, reversed environmental protections on wellsites and put LNG and export pipelines on the top of the government’s agenda. If they could do that in the greenest province in Canada, well surely they could do the same in Ottawa. It didn’t take long for them to regain the upper hand. Enbridge’s Line 3 and Kinder Morgan’s Trans Mountain were quickly approved, planned cuts to subsidies were taken off the table and Trudeau found himself centre stage in Houston touting the expansion of Canadian oil. You know the rest. Fast forward to early 2019. It’s hard to even calibrate the distance we have travelled from Sunny Ways. Dark clouds of climate chaos gather on the horizon as our emissions continue to rise. Nobody is even discussing whether or not every vote will count in the next election. Reconciliation? Ask the Squamish Nation, the Tsleil-Waututh or Jody Wilson-Raybould about that. Oh and, no, Burnaby was not able to grant permission. Up on the Hill, Big Oil had worked their dark magic. CAPP alone employed 37 lobbyists last year. As Trudeau’s first term comes to a close one of their final targets is Bill C-48, the legislation enabling that promised North Coast tanker ban. The bill is now stuck before the Senate committee. Not a single member from B.C. sits on that committee. CAPP’s goal? Delay. The minute the writ drops, the North Coast tanker ban bill is dead. If Bill C-48 fails, Trudeau’s government will carry four years of broken promises with them into the next election. The sad reality is, at this point they probably don’t even care. In the next six months their focus will be on regaining Quebec, holding Atlantic Canada and salvaging as much as they can from vote rich urban Ontario. I wouldn’t expect any cabinet ministers to intervene on B.C.’s behalf. So, the question is how does one get to a senator? As the Mike Duffy expense scandal, the Patrick Brazeau affair and Tory stalling tactics around assisted dying and marijuana legalization have shown, Senators come to heel when someone shines a little light their way. Who better to shine that spotlight than the Premier of B.C.? We need Premier Horgan to take a stand, and you can help. Send him a message. Don’t let oil lobbyists and unelected Senators kill the North Coast tanker ban. Tell Premier Horgan to stand up for Bill C-48. Stand for what is right.Stand up for Bill C-48. 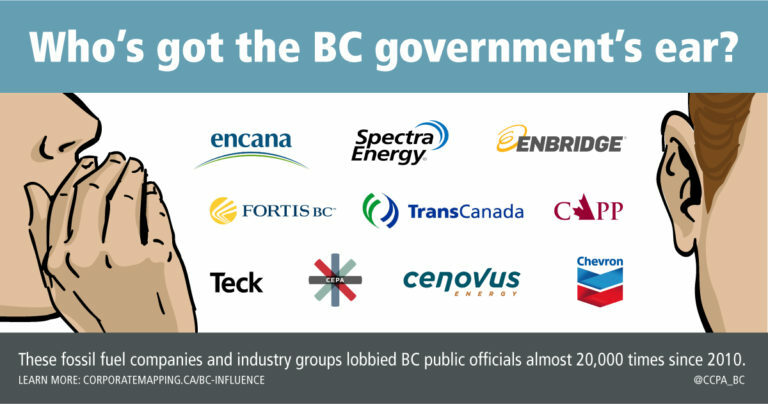 Not your corporate masters, who will turn BC into a dirty carbon corridor. Thank you very much for your correspondence. This reply is to assure you that your email has been received and to provide important information. I really appreciate it when constituents take the time to share their concerns and/or provide me with information they feel is important. You will receive a response within two weeks (times can fluctuate depending on the volume of emails and calls received, urgent matters will be given priority). If your concern is of an urgent nature please contact the office directly at 250.248.2625. Please note: Only emails with full contact information including: address, postal code and telephone numbers will receive a response. Mass Cc’ed emails from constituents including petitions will be recorded, but will not receive a response. Constituents will be given priority, non-constituent correspondence will be responded to if time permits. Just a suggestion to change the formatting a bit and make it harder for them to ignore petitions. $ billion! Make environmental choices…that will let the next generation to survive…let alone “7 generations!” Thank you for chosing wisely…and pressuring the Feds to get this bill passed…beford the election startd…and it dies! Thank you for your wise decisions, and efforts to make clean oceans and a habitable world gor our grandchildren! to get it right and to make C-48 stick, this has to go beyond just oil tanker traffic. It needs to encapsulate all freighter and ferry traffic. The risks of a tanker oil spill today is extremely low, with zero spills off the coast of BC to my knowledge. There has been spills from commercial vehicles in recent history though, and it makes me wonder why this bill is targeted at only tankers. If we want to be consistent in our approach to protecting the environment, then C-48 or a similar bill needs to take a broad and fair approach. Dear Mr. Horgan, Please speak up for Bill C-48. We really need your personal and your government’s support for this. Do this for our children and grandchildren. Despite big oil’s lobbying, municipalities are outside their sphere of influence and are seen to be taking up strong positions with respect to plastics, urban cycling and electric charging stations. These may seem small but they will escalate dramatically with every upward tick of gas prices and successes in banning plastic bags and excess packaging. We all need to keep up pressure on all elected reps, and time is ripe to consider Green at the next election. Splitting the vote should not be a concern because the increasing percentage of green votes sends as big a message to elected officials as electing a Green government and that is they can no longer afford to ignore stronger environmental protection over the status quo of the fossil fuel industry including their awful record of clean up and continuation of subsidies. These people live in the past. Maybe we should leave Canada. That would put an end to all this talk.